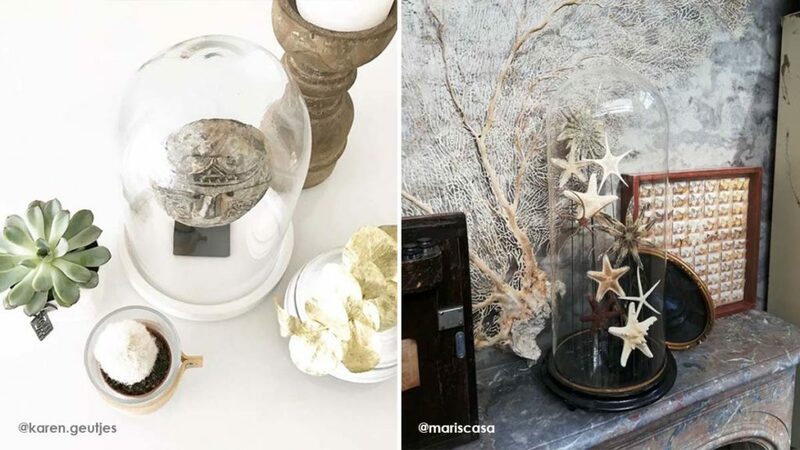 A glass dome or bell jar is such an attractive display case for personal treasures and so versatile: change its content with the seasons or every week, whatever suits you. Putting a glass dome over something instantly elevates an everyday object into a piece of art. It’s such a charming item to capture a sense of the season, whether it’s fall, Christmas or winter. It is also an easy way to add interest to a table vignette or display and a fun DIY. Mica Decorations has a wide range of glass domes in a variety of sizes to get your dome-scaping talents going! Bell jar, cloche, glass dome, all are different words for the same thing: a base of wood, glass, metal or porcelain covered with a transparent dome formed from a solid piece of glass. Cloches were first used in Italy in the early 1600s as a covering for garden plants to prevent frost damage and to promote early growth. The French developed the bell-shaped cloche, that’s why they are commonly referred to as bell jars. They were especially popular in the Victorian era to display items and serve as transparent dust covers for clocks and taxidermy. 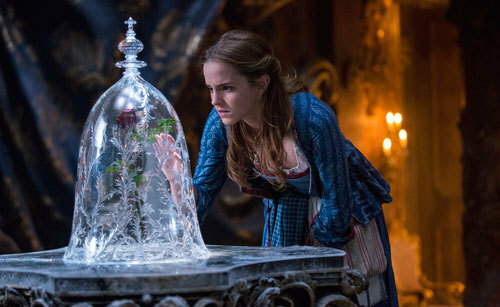 The most famous example of a glass dome is the one with the enchanted rose in ‘Beauty and the Beast’. A dome is easy to decorate, whatever your taste and style in home décor is. Here are some examples of small collections that look fabulous on display in a bell jar by Mica Decorations. Gather the collection you want to present and have a dry run of your display. 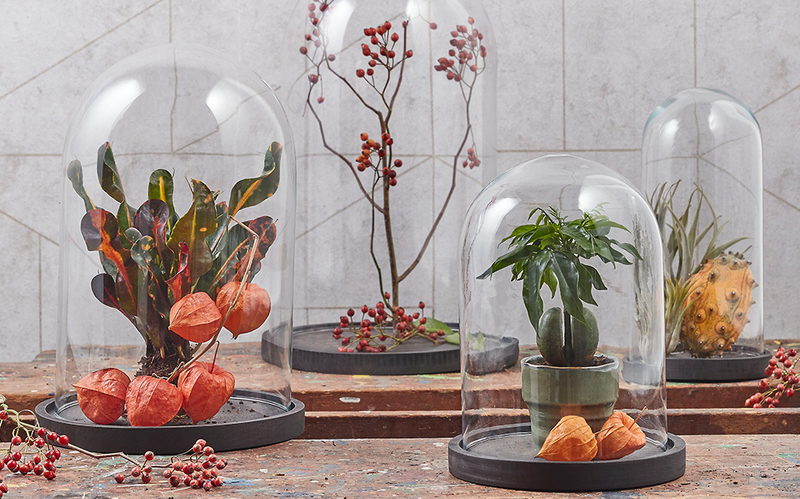 Various levels make a glass dome far more interesting to look at, so to elevate certain items think small pretty boxes (you may want to glue them together for more stability), a tea box on its side, a dessert stand or a plant stand to stack your treasures. Clean the dome inside and outside with hot water and a bit of vinegar and rub it dry. For a top-to-bottom design (a whole bell jar filled with Christmas ornaments for example), fill your cloche upside down, put the base in its place and gently bring the whole thing in an upwards position. For design that allow a little space on top, simply create your display on the plate. 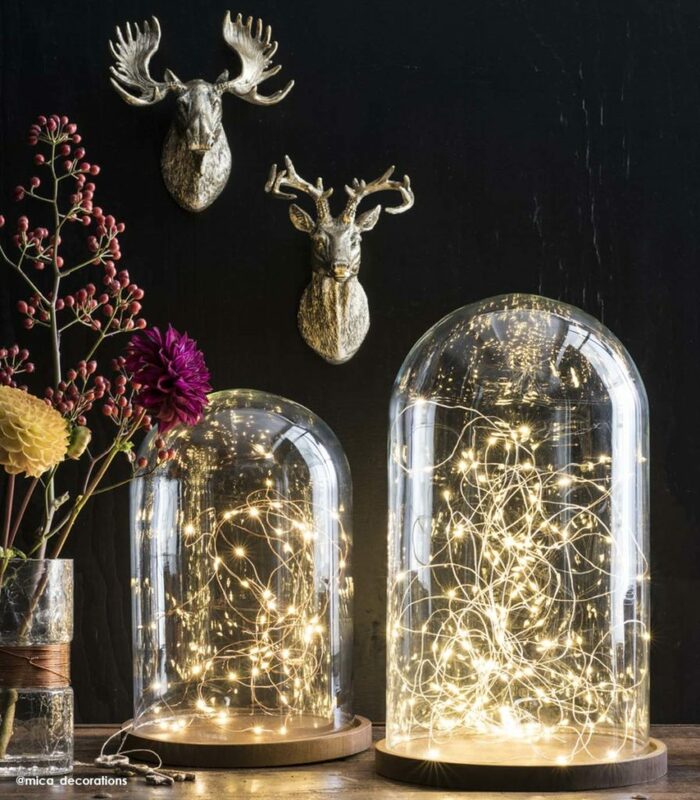 If possible, add a small string of battery-operated fairy lights to make your tableau shine. Finish it off by placing the dome on the base and enjoy! The Mica collection offers home deco to transform your house and garden into a wonderful place. Mica Decorations brings you versatile and innovative items made of surprising and appealing materials. Mix and match, get inspired, the possibilities are endless! Celebrating Easter with Mica Decorations!